Assets worth more than Rs 61 crore were seized by the income tax department over the week from multiple lockers located in the private vault in the South Extension area of Delhi. 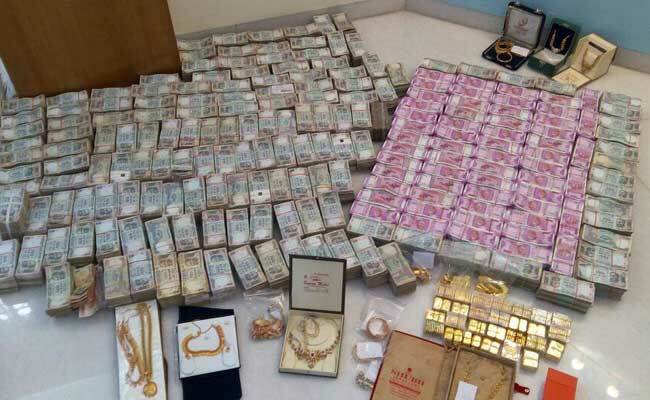 New Delhi: A total of Rs 85.2 crore in cash, bullion and jewelley have been seized by the Income Tax Department after it searched a private vault in Delhi as part of its anti-black money drive. A fresh seizure of over Rs 23 crore in gold jewellery, biscuits, precious stones and cash was made on Friday by the sleuths of the investigation wing from the vault, official sources said. Assets worth more than Rs 61 crore were seized by the department over the week from multiple lockers located in the private vault in the South Extension area of Delhi. Sources privy to the operation said out of the total Rs 85.2 crore stash seized, Rs 8 crore is in cash (mostly Rs 2,000 notes) while the rest is bullion, jewellery, diamonds and other precious stones. The assets allegedly belong to some high networth (HNIs) individuals from Delhi like a builder, a gutkha trader and some businessmen based in the national capital. They said that the department has initiated proceedings for tax evasion and under the benami assets law against the illegal vault holders. "The case pertains to black money detected post demonetisation and some others being probed under the new anti-benami law. "The lockers have been opened now and unaccounted assets seized," a senior official said. The assesses did not allegedly declare these assets to the taxman and concealed them in these vaults. Private lockers or vaults, that operate like normal bank lockers, are illegal and not recognised under the law.